Have you ever envied someone that had a very peaceful demeanor? That seemed like life must have been good to them , they seem like they don't have a problem in the world? I've personally only met a few people like that, but always wanted that kind of inner peace. 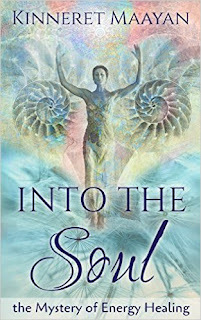 I was offered the chance to read Into the Soul : The Mystery of Spiritual Healing by Kinneret Maayan. This is a beautifully written book. 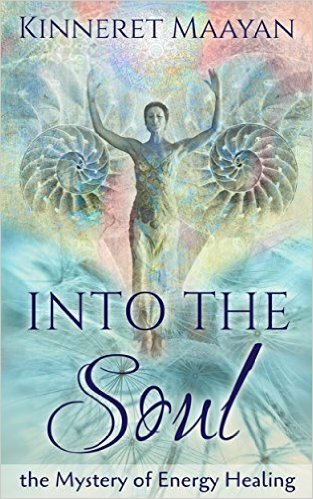 It's divided into 2 parts, the author describing her childhood into adulthood, her own personal story for growth and healing. The second part is about her patients therapies and healing through identifying the pain, finding the root of it, and releasing the energy. This is a very emotionally charged book, some parts really brought me to tears. Mostly because I can relate on many levels. I really want to find the balance of mental, physical and spiritual happiness. This book gave me a new understanding of how to reach just that. I have read a lot of self - help books , but this one explained thing so much differently than ones I've read previously. If you're interested in finding inner peace this book is a really good start. I highly recommend it.